Prestige, sport, luxury and advanced technology all rolled into one. Italian masterpiece — a redesigned Maserati Quattroporte 2017. Italian cars have always been able to give vivid emotions owner, but along with the German conceded in technology and reliability. 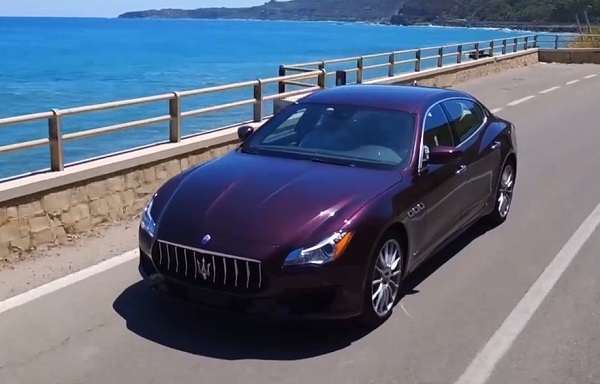 The sports limousine Maserati Kvatroporte 2017 all of these shortcomings have been corrected. Compared with the first generation of sedans, the model has become a beautiful, getting rid of his «clumsiness». The front end sports a «demonic» predatory grille and front bumper, like Levante crossover. It is worth noting that underwent restyling front optics. Profile Quattroporte. Profile looks solid, that emphasize the bulging wheel arches, curves in the doors and the vents in the front wing. The elegant aft shaped trunk and headlights reminiscent sedan Infinity. It is worth noting that the engineers have reduced the aerodynamic drag by 10% due to the flat bottom and the shutter located behind the «blade» radiator grille. Salon Quattroporte 2017 — is the realm of skin, wood and handmade aluminum. The front panel is decorated with three-cluster-board computer, 8.4-inch display with an analog clock and a huge wooden «branch» -vstavka. It should be noted two shortcomings: not the best clarity of the display, compared with the Germans and the crunch in the cupholders. But rear passengers will rejoice — because of the increased length of the body, you can now freely to place your feet. In addition, the model gets the trunk open button on the key, the system assistance to park, plus a circular viewing system and smart cruise control with advanced navigation system. Engine compartment occupies a 3.0-liter V6 engine with a twin-turbo 350 hp power and 500 Nm of torque. 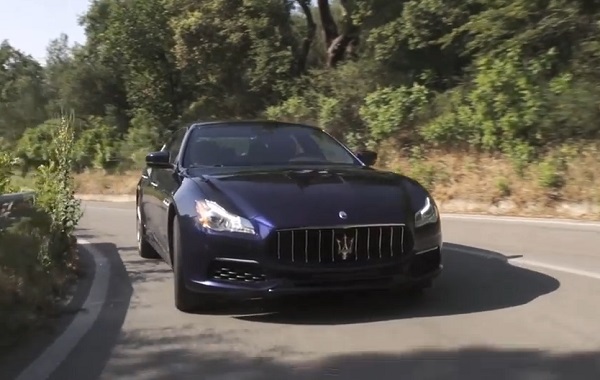 For models Quattroporte S provides a 3.8-liter engine to 527 «horses». To awaken the beast, just press the start button. Both engines are paired with an 8-speed automatic ZF. Depending on the modification of the sedan will receive either rear or all-wheel drive. 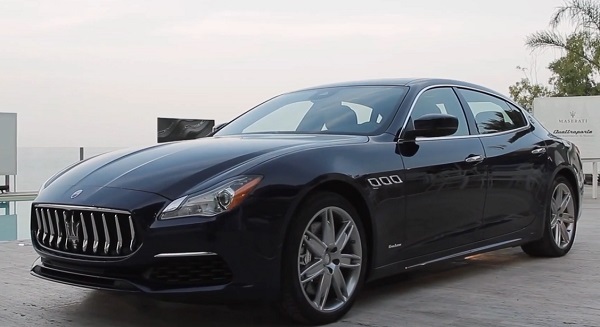 Estimated price Maserati Quattroporte 2017 is 98 800 euros.